Sat., Feb. 9, 2019, 12:01 a.m.
TWIN FALLS, Idaho – Idaho received an overall grade of F in a new tobacco control report from the American Lung Association. The 2019 State of Tobacco Control outlines three recommendations for Idaho: increase funding for tobacco prevention and control work, raise the legal age for the sale of tobacco products from 18 to 21, and pass comprehensive smoke-free air laws at the local and state levels. Idaho isn’t alone in getting failing grades. For instance, 43 other U.S. states also received an F in the tobacco prevention and cessation funding category. 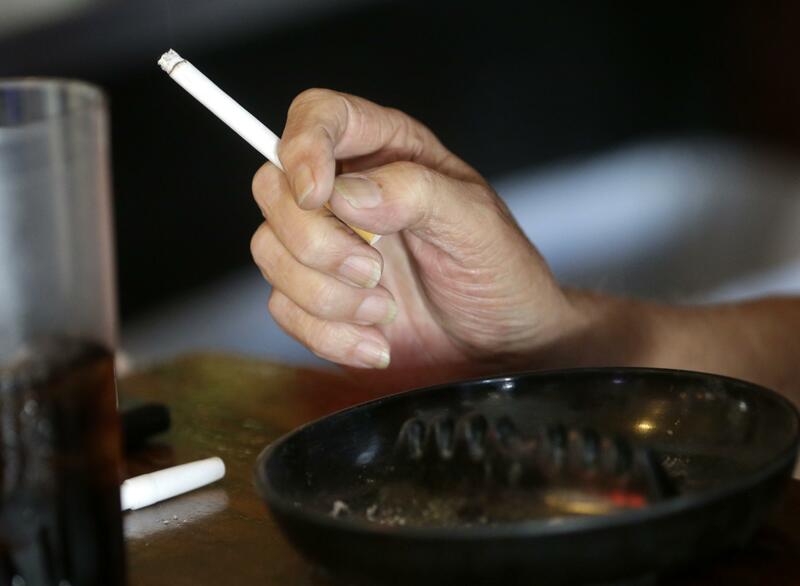 “States aren’t really doing enough to prevent our kids from starting to smoke” and helping smokers quit, said Carrie Nyssen, senior director of advocacy for American Lung Association in Idaho. One of the key findings nationwide in the report: The number of youth using e-cigarettes rose 78 percent from 2017-18. The report includes an overall letter grade for each U.S. state and grades in five categories. Idaho received an F for tobacco prevention and cessation funding, C for smoke-free air, F for tobacco taxes, C for access to cessation services, and F for tobacco only for those 21 and older. In Twin Falls, smoking is prohibited in most public places, but bars are one of the exceptions. In November, the Smoke Free Idaho coalition inquired with the city whether there was interest in prohibiting smoking in all businesses and public places. Some residents have expressed support for the move, but some bar owners say that more regulation would be going too far. The South Central Public Health District offers tobacco prevention and smoking cessation classes. As for the report, “I think as a community we have been doing well in some of these categories,” district health education specialist Cody Orchard said. The health district doesn’t have any control over policy recommendations such as raising the minimum age for tobacco purchases or raising taxes on tobacco products, Orchard said. “Locally, I do feel like we’re doing fairly well with tobacco prevention,” he said. That includes teaching fifth-graders about the dangers of using tobacco and presentations at schools about the harmful effects of e-cigarettes. The district offers free smoking cessation help – or help with any kind of nicotine addiction – for teenagers and adults. Support includes five-week classes, and free patches, gum and lozenges. During the smoking cessation class, participants set quit dates, which usually happen during week three. “But if someone wants to quit on week one, I’m for that,” Orchard said, adding he encourages that if the participant is ready. Weeks four and five of the classes focus on prevention, and talking about any struggles the participant is having after quitting smoking. Orchard also helps pregnant women, or their significant other, quit smoking. The health district offers an incentive to do so – free supplies for soon-to-be parents once their baby is born. Idaho’s C grade for smoking cessation is “kind of a lower grade than what we would have in this area,” Orchard said, but added there’s probably a need to better promote smoking cessation offerings. A big push lately for Orchard is educating parents, teachers and students about the dangers of e-cigarettes. He has given presentations and spoken with classes at many Magic Valley schools over the last five months. Across the region, electronic cigarette use is the No. 1 cause of school suspensions. And nationwide, the U.S. Food and Drug Administration launched an anti-vaping campaign in September targeting teenagers. Education and health officials say there’s a perception among some teens that e-cigarettes are safe and there’s nothing wrong with them. But beyond legal and school consequences, vaping can cause health issues, including heart and lung problems. “So many teens don’t even realize there is nicotine in those devices,” Nyssen said. In the State of Tobacco Control report, the American Lung Association writes that state funding for tobacco control programs was reduced to $3.45 million for fiscal year 2019, down from $4.7 million the previous year. “The American Lung Association in Idaho will continue to work with elected officials to advocate for increased funding to keep Idaho youth from picking up their first cigarette or e-cigarette and to help those who already use tobacco and nicotine products to quit,” the report states. When the minimum age to buy tobacco products is 18, it means some high schoolers are able to legally buy products and could distribute them to younger teenagers, Nyssen said. Six U.S. states and 350 communities across the country have passed laws to raise the minimum legal age to 21, Nyssen said. In Idaho, an effort during the 2018 Legislature to raise the minimum age was defeated. Another area of focus for the American Lung Association: “We know that increasing taxes is one of the best ways to reduce youth and adult consumption,” Nyssen said. Idaho’s cigarette tax rate – 57 cents per pack of 20 – ranks the state 45th in the nation and is considerably lower than the national average of $1.79, she said. As for smoke-free laws, some cities in Idaho have passed them, but there’s not a comprehensive law at the state level, Nyssen said. Published: Feb. 9, 2019, 12:01 a.m.